Dan Roberts is the CEO of Ouellette & Associates Consulting, Inc.
For years, IT leaders have been striving for one thing: “IT-business alignment,” in which IT serves the business not as a basic utility, but as a strategic partner. Although important, that is no longer the ultimate goal. By the way, have you ever heard a CFO say, “I need to get finance aligned with the business”? Of course not! So, let’s stop talking about IT-business alignment and start talking about what the relationship really looks like. Strategic partnership is just one admittedly advanced step on a larger continuum, and CIOs who have not figured that out already will be getting the message from their boards and CEOs — soon. The journey to advance IT maturity turns out to be less about competence around technology and more about something more human, and it’s often harder to define and instill in the organization: collaborative human relationships built on trust. A few years ago, we did a yearlong study with researchers at Babson College to understand how, and how well, IT organizations matured. What we found surprised us. As expected, the journey to strategic partner came into definable levels from the lowest competence to full partnership — but we also discovered that “partnership” was not the final destination. It turned out that business leaders were demanding more, and the best CIOs were seeking to go beyond “strategic partner.” Looking at our results, we termed the small group of highest achievers “innovative anticipators”: IT leaders who don’t just partner with the business, but actually drive business opportunities. The old trap was business leaders wanting to keep IT in the IT Supplier box, and we were happy in our order-taker comfort zone. Today, IT is on the offensive — moving up the Maturity Curve so we can position our companies to fight off disruption while driving transformation and disruption ourselves. Stage 1: IT Supplier. Here, IT just provides basic services. IT is generally unaware of new business initiatives. There’s frankly a lack of trust, and IT is highly subject to outsourcing. Stage 2: Solution Provider. At this stage, IT has proven effective at taking orders and building efficient solutions. 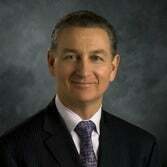 The CIO is eventually called in to support business initiatives that are already under way. Stage 3: Strategic Partner. Long celebrated as the ultimate achievement: IT serves as trusted advisor, embedded into the business. Efficient and responsive, this IT org is good at communicating the value of IT and sits at the first meeting when a new opportunity arises. Stage 4: Innovative Anticipator. Beyond the strategic partner is the IT organization whose culture of innovation and business acumen enable it to look around the corner and see business opportunities and risks. You’re not just attending business meetings; you’re calling them to discuss new ways to drive revenue, facilitated by data and technology. Here, the CIO is a true business leader. IT is the only function with an end-to-end view of every transaction. Those who leverage this can look around the corner and define new business segments. That’s an Innovative Anticipator, and that’s where every CIO should be striving. The research gave us key insights. We were able to distinguish the skill sets that define each level on the IT Maturity Curve. We saw that no organization is 100 percent locked into a single level — there are always pockets of higher and lower competence. And no organization ever “finishes” achieving a certain skill. Even the strongest Innovative Anticipator must keep an eye on continually improving the basic skills of project management and service excellence. And we saw that IT maturity is not a reflection of the CIO alone. The entire IT organization, top to bottom, must exemplify the same high-performance skill set. But perhaps the most important thing we learned from talking to top CIOs was that although skills and functions define an IT organization’s place on the curve, mastering new skills is not what moves IT from one level to the next. That requires something much harder to achieve than performance excellence. It doesn’t matter that you’ve got the driving skills of an Indy 500 racer if no one will give you the car keys. IT teams don’t move up the stages of the maturity curve — which define the relationship between IT and the broad business — just because IT decides it’s ready. IT teams move up the maturity curve when the business stops working around them. When business leaders ask IT’s advice on how to achieve their goals — and even what those goals should be. It’s about how the business perceives, and interacts with, IT. In other words, competence, intelligence and initiative won’t get you there without trust, credibility and respect. Most IT departments have at least as much work to do in building their credibility as they do at building their competence. And when you get there, you’ll also see a major, positive impact on key IT measures, such as employee engagement and staff retention. When you evolve up the IT Maturity Curve, you’re changing the conversation about IT strategy, culture and talent. And you’re earning the trust, credibility and respect to lead the business. At the lowest stage, the business doesn’t trust IT to tie its own shoes. If it’s raining outside, it is probably IT’s fault. And the IT team — those awkward “geeks” — slink through the hallways like they’re expecting to get punched. But as IT quietly, consistently demonstrates an ability to manage project delivery and provide great service, some trust is established. Eh, the business thinks, they’re not so bad. Credibility comes when we find yourself in the first meeting about a new strategy or initiative. You are a trusted advisor, and peers seek your opinion. Respect comes when everyone knows you deliver good work and have good ideas and insights. Other leaders want you at the table as initiatives are planned. Your contributions are valued. You’ve proven to be — and have been accepted as — a part of the team. Every IT organization is on the journey up the IT Maturity Curve. When you set your eye on achieving Stage 3 or Stage 4, it’s tempting to start looking for those partnership opportunities or to start brainstorming IT-led innovations. But first you must steadily, successively build the foundational skills — and prove them effective. There’s no skipping steps, and each step builds not only an essential skill, but an essential increment of trust, credibility and respect. 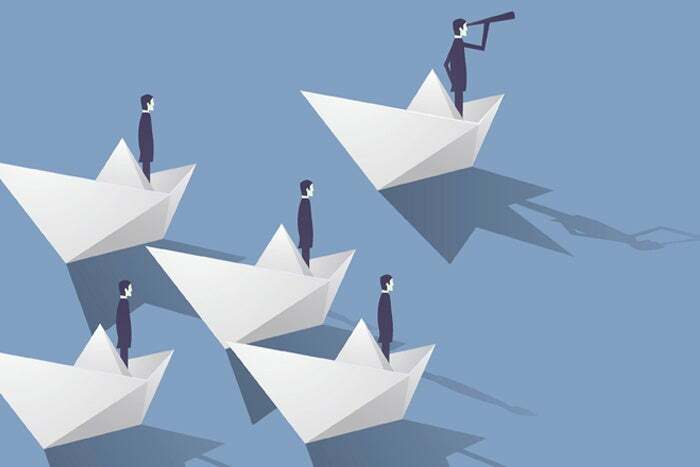 Top executive recruiters tell us that boards and CEOs are looking to IT to lead the business. And world-class CIOs tell us that the entire IT team needs these skills and behaviors that earn trust, credibility and respect. 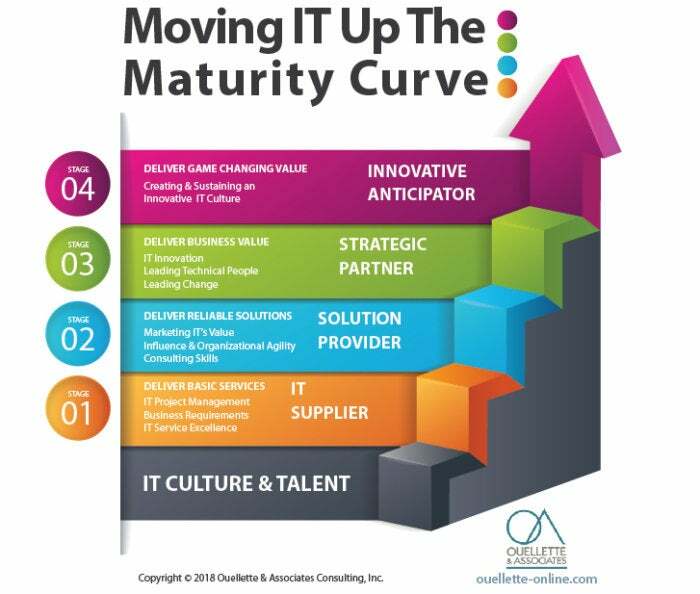 Where are you, today, on the IT Maturity Curve? Equally important, where does your company need you to be in the next three years? Do you have a roadmap to navigate that journey? In future articles, we’ll draw from O&A’s 30 years of experience transforming IT organizations — from the core competencies that drive success to the often-overlooked “moments of truth” that incrementally build the trust, credibility and respect required to be a strategic partner and innovative anticipator. In the meantime, visit our blog for some interesting insights. And prepare for your journey up the IT Maturity Curve.